The English dub cast for the popular seasonal anime, The Promised Neverland has been revealed in a trailer streamed by Aniplex of America. Aniplex of America has released a new trailer for The Promised Neverland TV anime revealing the English dub cast. The English dub will be directed by Steve Staley in association with Bang Zoom! Entertainment and Erica Mendez and Tyson Rinehart are adopting the English scripts. The anime will be premiered on Adult Swim’s Toonami block on April 13th. Surrounded by a forest and a gated entrance, the Grace Field House is inhabited by orphans happily living together as one big family, looked after by their “Mama,” Isabella. Although they are required to take tests daily, the children are free to spend their time as they see fit, usually playing outside, as long as they do not venture too far from the orphanage—a rule they are expected to follow no matter what. However, all good times must come to an end, as every few months, a child is adopted and sent to live with their new family… never to be heard from again. However, the three oldest siblings have their suspicions about what is actually happening at the orphanage, and they are about to discover the cruel fate that awaits the children living at Grace Field, including the twisted nature of their beloved Mama. 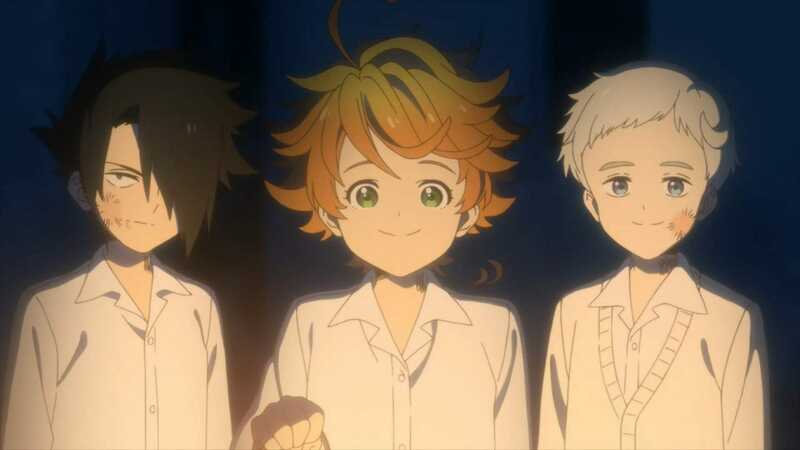 The Promised Neverland dub will premiere on Adult Swim’s anime block Toonami on April 13. If you’ve loved the first season there’s good news as the anime will be receiving a 2nd season in 2020. You can also check out, Anime Boston 2019 will be premiering Code Geass: Lelouch of the Re;surrection anime movie, Funimation will be streaming the upcoming original anime, Fairy Gone in both sub and dub.